Two thousand years ago, ancient china was separated into 7 countries. The kingdom, Chi is the biggest and the strongest. The king was tall and strong and very ambitious. He wanted to reunite China. One day he won a battle against the other countries. He wanted to throw a party to celebrate the victory. All the famous people were invited. A famous Chinese doctor who was honest and responsible also attended the party. The doctor looked at the king when he entered the palace. He said to himself that the king was sick. In ancient era, there were no X-ray or ultrasound or blood test. Chinese doctor was diagnosing by observing the people’s skin, tongue shape and color, checking the pulse. When the party finished, the doctor bowed to the king and said “Your majesty, I have to tell you that you are sick, your internal body is unbalanced. I can heal it by applying herb paste on your skin for couple days.” The king was very angry “Nonsense! Go away! I don’t want to see you anymore!” said the king. The doctor couldn’t do anything but left. After 10 days, the doctor was very worried about the king and decided to see the king. When he saw the king, he examined the king and said: “Your majesty, your sickness now is worsen and invade into your intestine and stomach. But I still can heal you by applying acupuncture and moxibustion. The king was offended, “you are cursing me! Get out of here.” The doctor left. After couple of month, the King started to feel sick and getting worse and worse. He was getting weaker and weaker and he started to have the scary feeling. “Hurry up, go find the doctor”. The doctor checked the king’s pulse for a few minutes. He shaked his head and said: “Your majesty, your sickness is in you bone marrow now. I can’t do anything to save you anymore”. The king died after a month. Nobodies like to admit they are sick when there are no symptoms. When your body is unbalanced, it will start developing to the sickness. 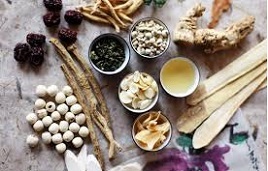 Chinese doctor or natural path doctor using natural treatment to balance your body by using acupuncture and herb. Hello, thank you for the article about the ancient china. Today, what is your opinion for the best curing of illness, traditional or modern way? Ideally, the combination of traditional medicine and modern diagnose give better results. Traditional medicine treats patient individually. The modern treatment is usually have the same treatment with same diagnose. However some unbalanced condition will not be diagnosed using any instrument. In addition, internal balance is to prevent illness. If the balance is broken, stronger medication is required to pull the balance back. Some broken balance is irrevocable, that’s how maintenance medicine comes up.